KW2 = Knit one stitch wrapping the yarn around the needle twice. The MC is carried up the side of the work when working with the CC until you need it again. For instructions on how to do this, watch Lion Brand Yarn’s how to video. 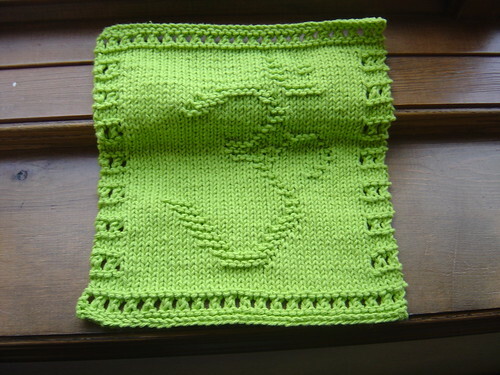 Cast on 50 stitches with MC or # of stitches divisible by 8sts + 6, with 4 additional stitches for the border. Ex. This cloth is 46 stitches for the pattern plus 4 border stitches = 50. Attach CC to your work. Carry the MC up the side of the work for the next 5 rows. Repeat Rows 1 – 12 four more times. 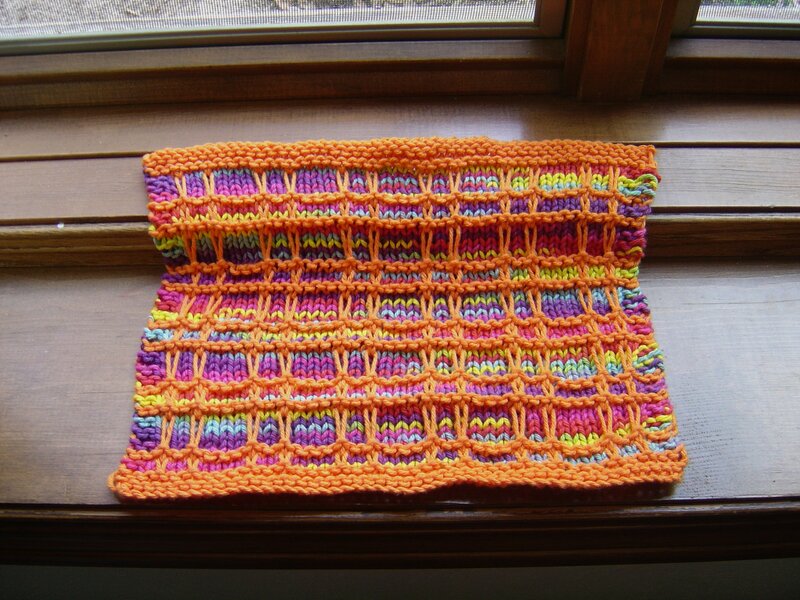 Knit two rows with MC. Bind off purlwise with MC. The original Om cloth pattern was written by Talitha here. She has graciously agreed to let me post her pattern plus my border additions. Thanks!